This pit viper occupies an enormous range from central Asiatic Russia into Korea and on to the Japanese islands, where it is called Mamushi, The species occurs in deserts and up to 10,000 feet into the Asian mountains. 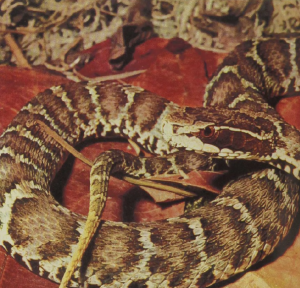 It is a live-bearing snake, and the females have sperm storage pockets so that they may produce young as much as three years after copulation. 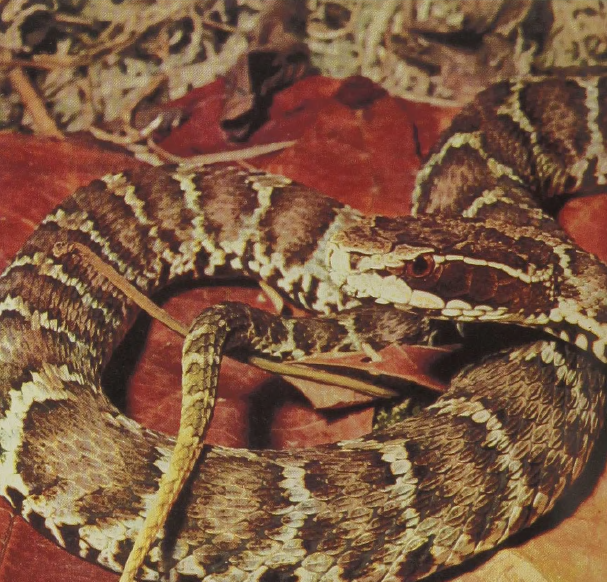 The Mamushi is a close relative of the Copperhead; this affinity as well as that of some other animals and plants suggests a close relationship between the organisms of eastern Asia and those of eastern North America. Mamushi are eaten in various regions of their range, and their blood and other tissues are popularly supposed to possess healing qualities that have not yet been documented scientifically.